The licenses were introduced in order to help the authorities easily identify strays and the owners of dogs causing trouble, such as worrying sheep, damaging property or aggressive behavior. 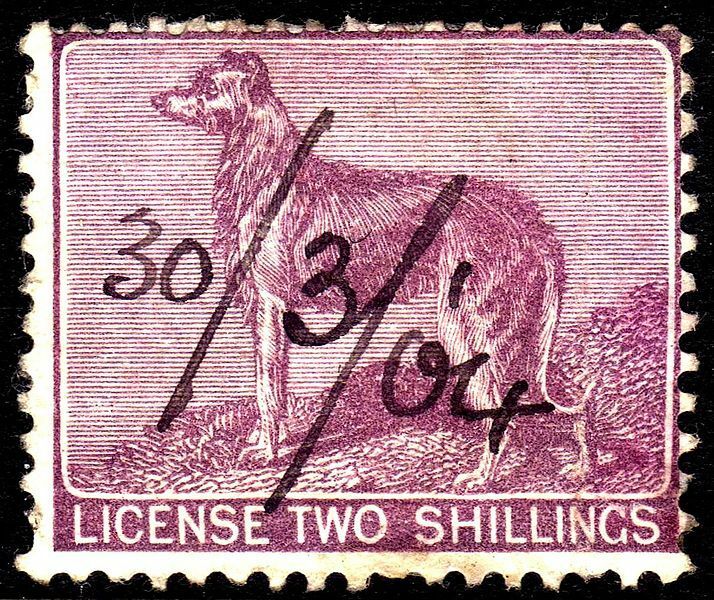 The records of licenses mainly covered physical descriptions, although dog names occasionally find their way onto the registers. According to the records for Mountrath, in County Laois, Prince was a popular name in 1866, as was Captain, Jess and Watch. Names like Flora and Floss were popular for females and many dogs had names that seemed more aspirational (Tiger, Hawk, Wolf or Buffalo) or descriptive (Snap, Spot or Coal).